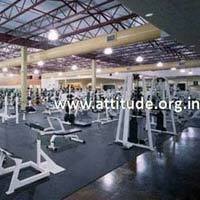 Production Capacity : 5000 square feet as per customer demands. 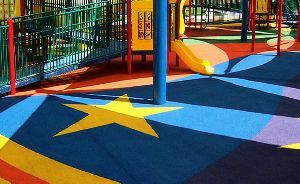 Electrical Mat Makers Is 15652 Isi..
We are offering rubber flooring which is a specially formulated surface that is ideally suited to children's play areas. 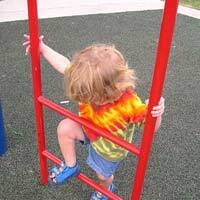 Its biggest advantage lies in its impact absorption property that cushions falls and minimizes unwanted injuries to children. What's more, the fact that it also eliminates unhygienic contact with irritants like mud, sand and dust should come as a breath of fresh air to asthma or allergy sufferers. 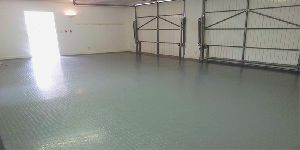 EPDM flooring consists of base rubber buffering and on top EPDM granules. Varied designs can be incorporated as per choice of client. 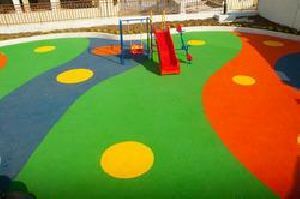 This flooring is popular for outdoor as well as indoor kids play areas. 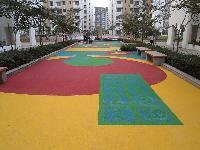 The proportion of the rubber buffering and EPDM granules varies as per the required cushion. 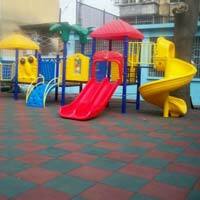 EPDM Rubber flooring is popularly used as surface for indoor and outdoor play areas. 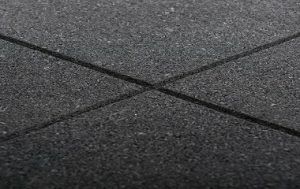 The basketball courts rubber floorings are 3-12 mm thick and has 1-1.25m width. With exceptional transportation facilities, our diligent team delivers the product basket in the committed time span. 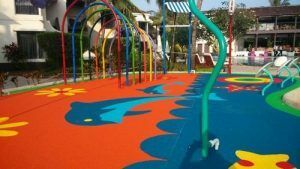 Keeping in consideration the latest standards, we are involved in supplying only high quality Basketball Courts Rubber Flooring at reasonable prices. 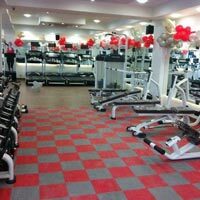 Biren Decor Agencies is a renowned brand from the house of Rubber Floorings with acclaimed reputation in the industry for its products, solutions and business ethos. 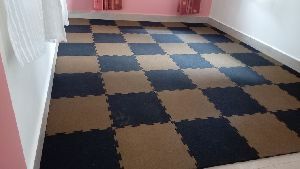 Biren Decor Agencies, with business insights of providing optimum and complete flooring solutions in the name of Biren Decor Agencies to customers at large, has been widening its business horizons in the industry. 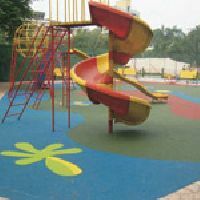 Wetpour is a playground safety surface that is made up of a base and top rubber that are both mixed with a binder. 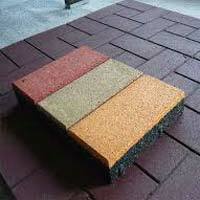 The base rubber is a SBR recycled rubber granule and the top wearing layer is a EPDM recycled rubber crumb. 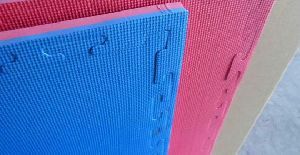 These rubbers is mixed with a PU polyurethane binder and applied to the correct specified area using a trowel. 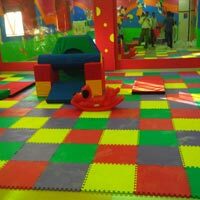 We are a leading DealerwholesalerDistributor of Rubber Flooring and Industrial Rubber Flooring in Pune and Pimpri Chinchwad Maharashtra India. 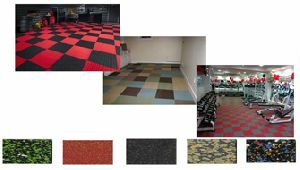 We are also leading importer and supplier of Rubber Flooring and Industrial Rubber Flooring in Pune Pimpri Chinchwad by Shanghai Interiors Pune Maharashtra India. 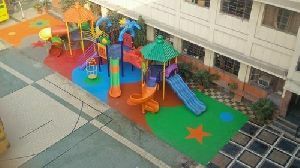 Almost every school prefers Outdoor Playground Rubber Flooring these days, because it offers maximum safety of children against injuries. 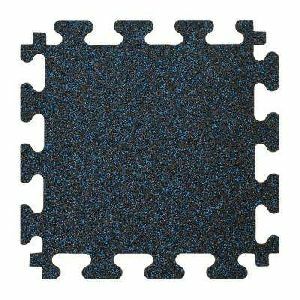 These Outdoor Playground Rubber Floorings are available with us in a wide range of colors, sizes, and designs. 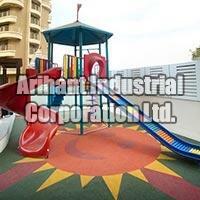 The company is known as an eminent Outdoor Playground Rubber Flooring Manufacturer and Supplier in India. 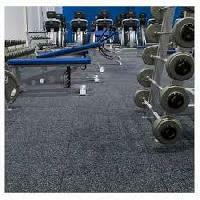 Rubber flooring has been used for sports reasons due to the strength of the product. 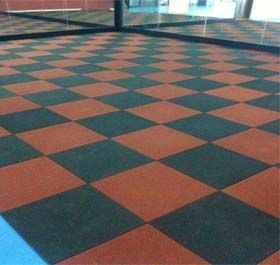 In a country like India, strong abrasion resistance characteristics are important due to the volume of people using any sports flooring. Action Sports really makes a different on floors that get the roughest and toughest use. 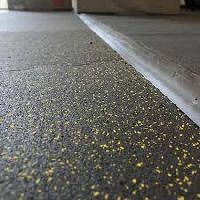 Rubber Flooring is durable and slip resistant, thus are ideal for commercial gyms and large scale weight rooms, animal hospital, garden paths, golf clubs, sports surface, equestrian use, pool and Jacuzzi and gym areas children play area. 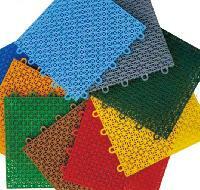 The Rubber Flooring we offer is provided in both sheets and tile forms. 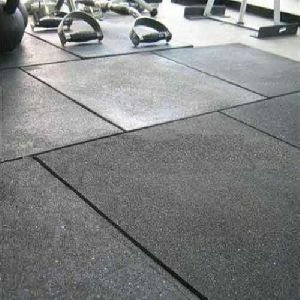 These Rubber Floorings are known to have one of the hardest wearing flooring finishes. 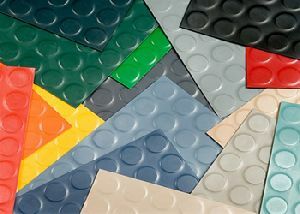 This classic rubber floor covering, in distinctive square tile format, is known for its world-class quality and functionality. 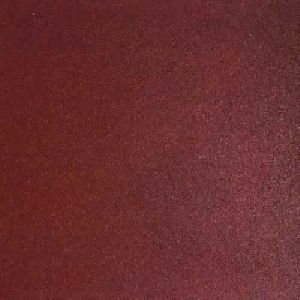 Choose from the characteristic solid color round pastille surface or other styles, including hammered, slate, and smooth as well as a unique cubic structure. 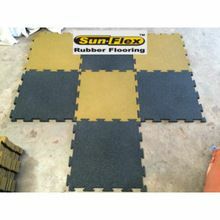 Providing & fixing all type of rubber flooring.10mm 15mm 20mm thk.